May 21st in Plugin Lists, Wordpress Plugins by Wordpress Jedi . 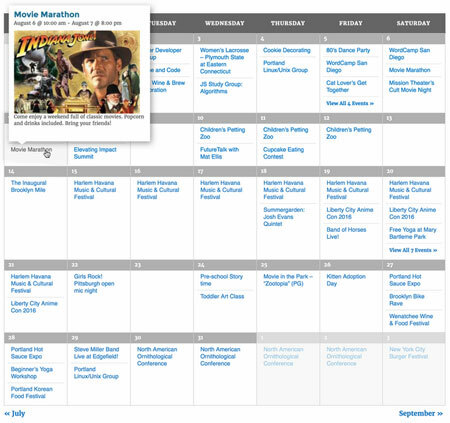 The Events Calendar: a powerful calendar plugin that lets you create and showcase events on your site conveniently. You can extend its capabilities with paid add-ons. Eventbrite Tickets lets you import and export events and connect your calendar to your Eventbrite account. 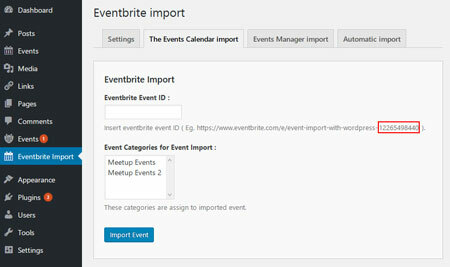 Import Eventbrite Events: this script lets you import events from Eventbrite.com. 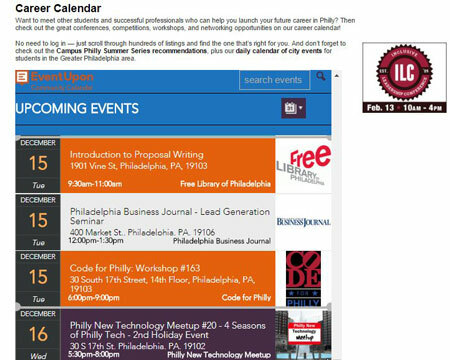 It is compatible with The Events Calendar or Events Manager. Event Calendar AutoPOP: pulls events from other organizations (Meetup, EventBrite, TicketLeap) and supports your own custom events. You get multiple calendar views, social sharing, and more. Have you found better Eventbrite WordPress plugins? Please share them here.